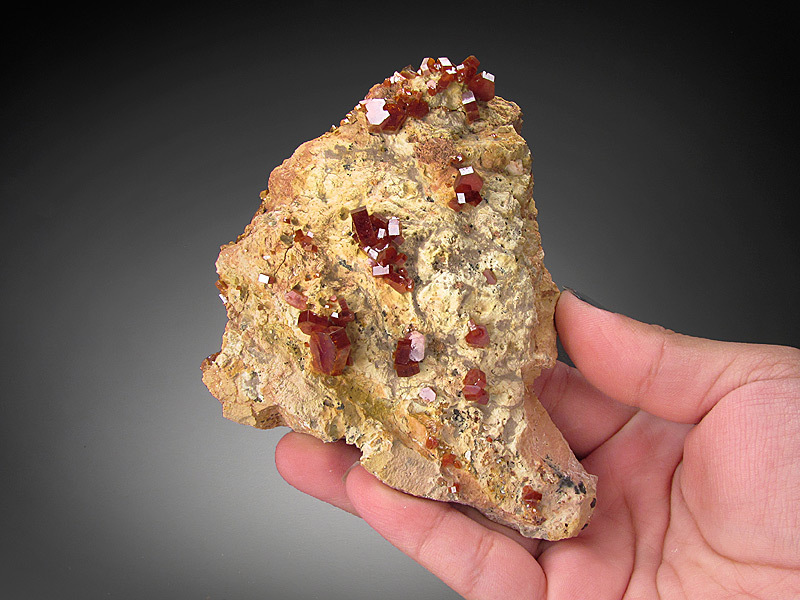 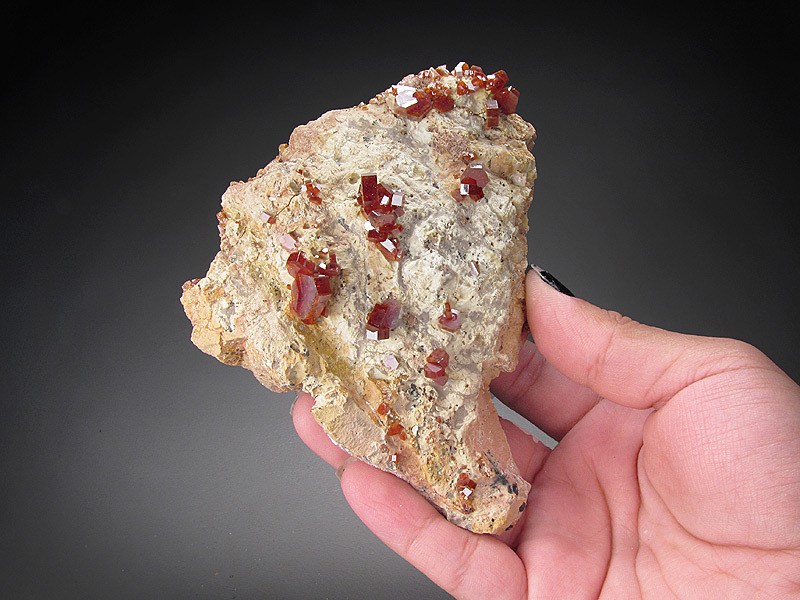 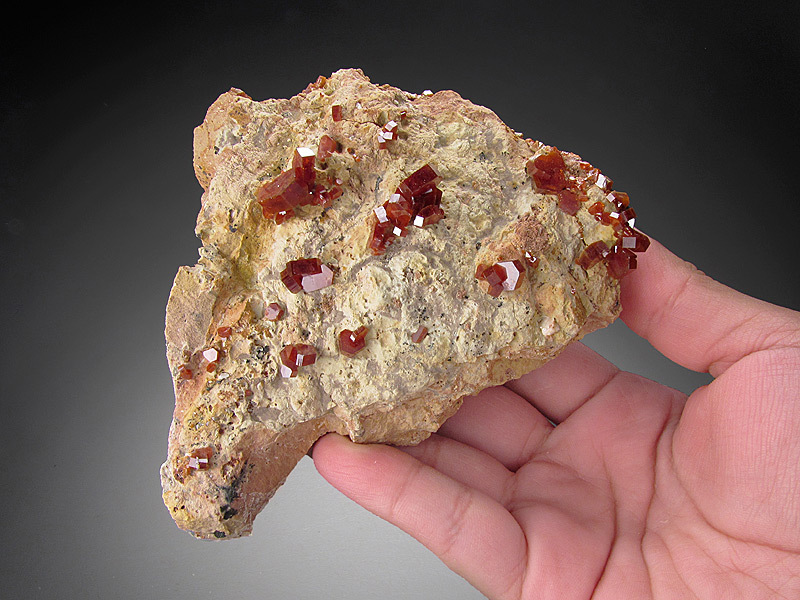 A grouping of vanadinite crystals with excellent color saturation of intense red and exhibiting mirror luster rest on a tan matrix. 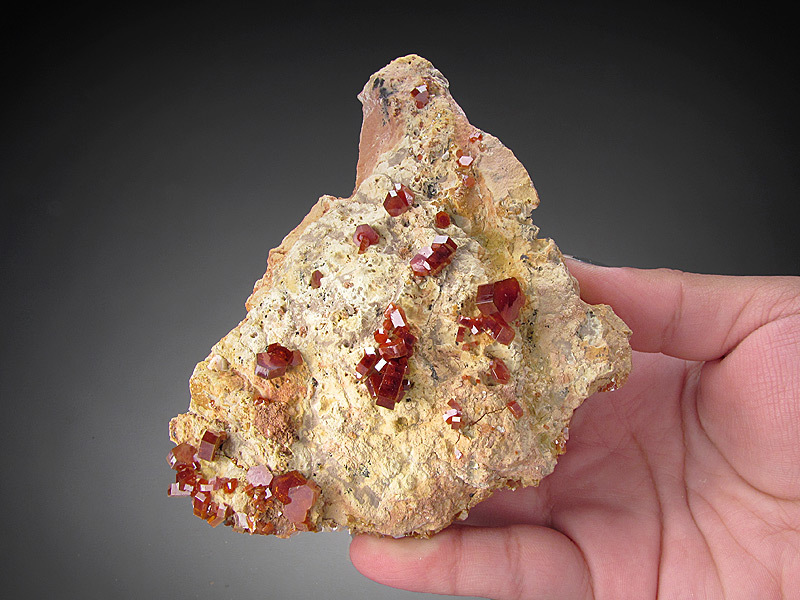 This piece is from the ACF Mine, Mibladen, Atlas Mountains, Morocco. 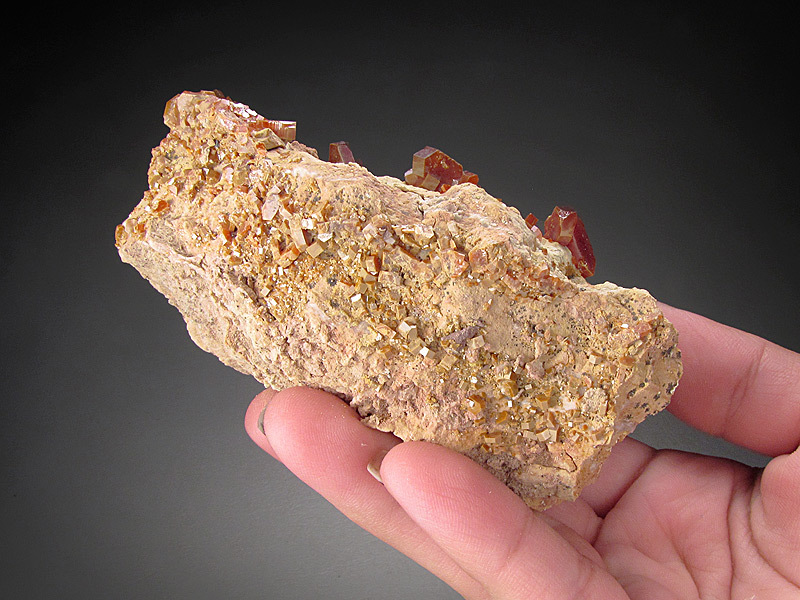 This piece measures 10 cm wide by 10 cm tall and 5 cm front to back. 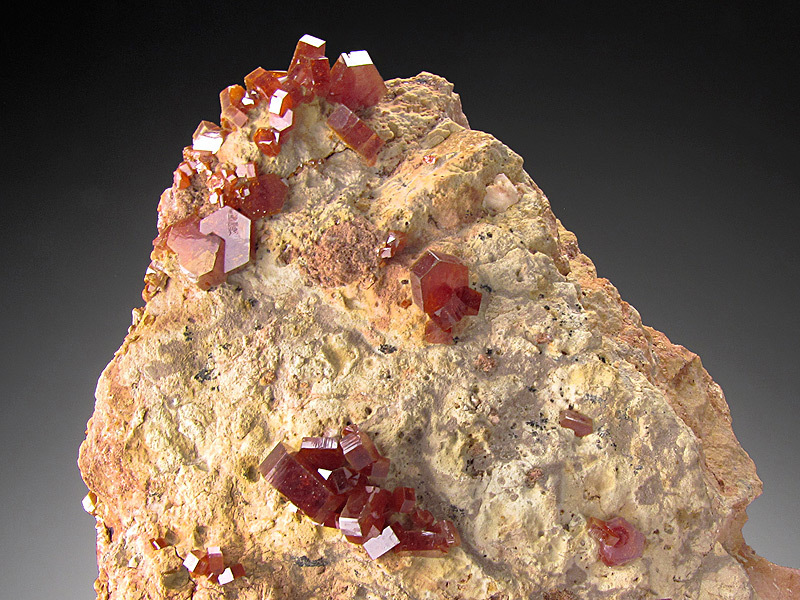 There is very minor damage to a few of the crystals at the edge of the piece.